Radio Platfform are proud to launch Radio Platfform Presents; an eclectic mix, showcasing Cardiff’s diverse creative scene. We'll be staging the city’s finest young talent, featuring local artists and projects in local spaces. Full line-up coming soon. Fancy learning about radio production? 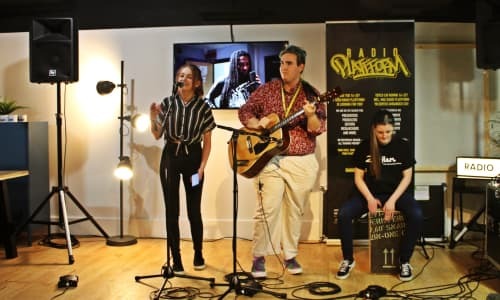 We've got our own youth-led radio station and run six-week workshops, teaching you everything you need to know about presenting, producing and everything in between. Give it a try.